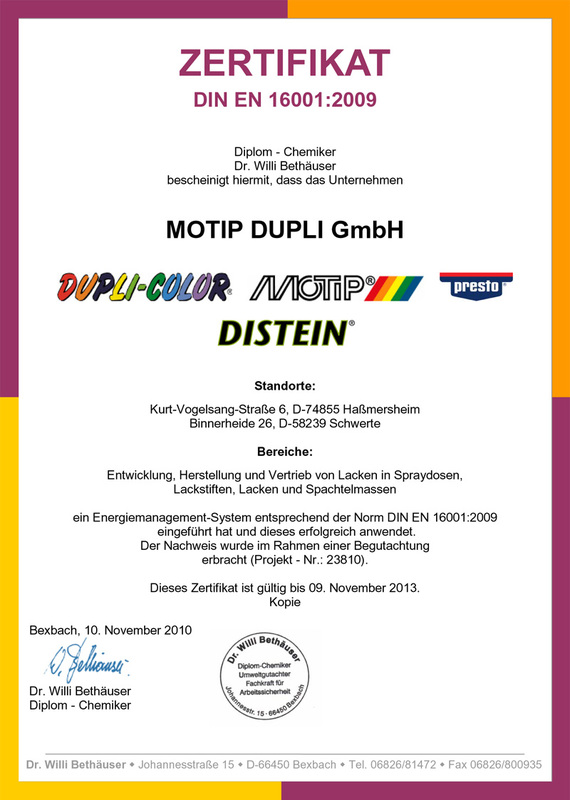 Once more MOTIP DUPLI - the European market leader in the manufacturing of spray paints and touch-up pencils is the pioneer in the branch. 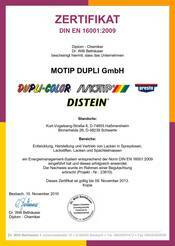 As first paint manufacturer in Germany, the innovative enterprise in Haßmersheim on the Neckar river was certified according to DIN EN 16001, which observes the European standard for energy management systems. Hereby the mid-sized market leader supplements his already existing, excellent management system DIN EN 9001 (quality management) and 14001 (environmental management).